You won't see Facebook's smart home speaker unveiled at its F8 conference on May 1 due to public outrage over its privacy practices, according to a new report today. In the wake of the Cambridge Analytica user data scandal, the social media giant is delaying its connected speaker with digital-assistant and video-chat capabilities, notes Bloomberg, citing people familiar with the matter. Facebook's smart speaker hardware is said to still be coming this year and it wasn't poised to launch until later in 2018 – just previewed at F8. It may still be on track, even if the official unveiling has been shifted. Interestingly, today's report mentions focus-group testing already showed that a Facebook-branded device in the living room sparked concern. It sounds as if the testing was done before the Cambridge Analytica story broke. With CEO Mark Zuckerberg apologizing to users and and ready to testify in front of US Congress, the controversy doesn't seem to be going away any time soon. 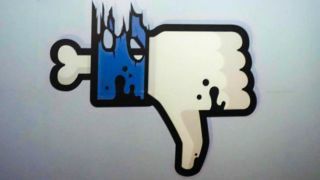 Facebook is also under investigation by US regulators. That's going to be a sizable hurdle for Facebook's smart home speaker, previously rumored to include a camera and 15-inch touchscreen that doubles the size of the Amazon Echo Show display. That's going to be a tough sell in the current 'deleteFacebook'-happy climate when the Apple HomePod, Google Home, and Amazon Echo are more familiar and infinitely less controversial sounding.